I’m just going to come right out and say it. At 25, I had never in my life visited a farm. The zoo, yes but a farm never. Living in London, I consider myself extremely lucky. There’s pretty much anything and everything I could wish for at a reasonable distance and yet I’d never really even thought about visiting a farm. Still, as the weather was clinging on to the last bits of sunshine, I wanted to take a day out away from the hustle and bustle to do something a little different. 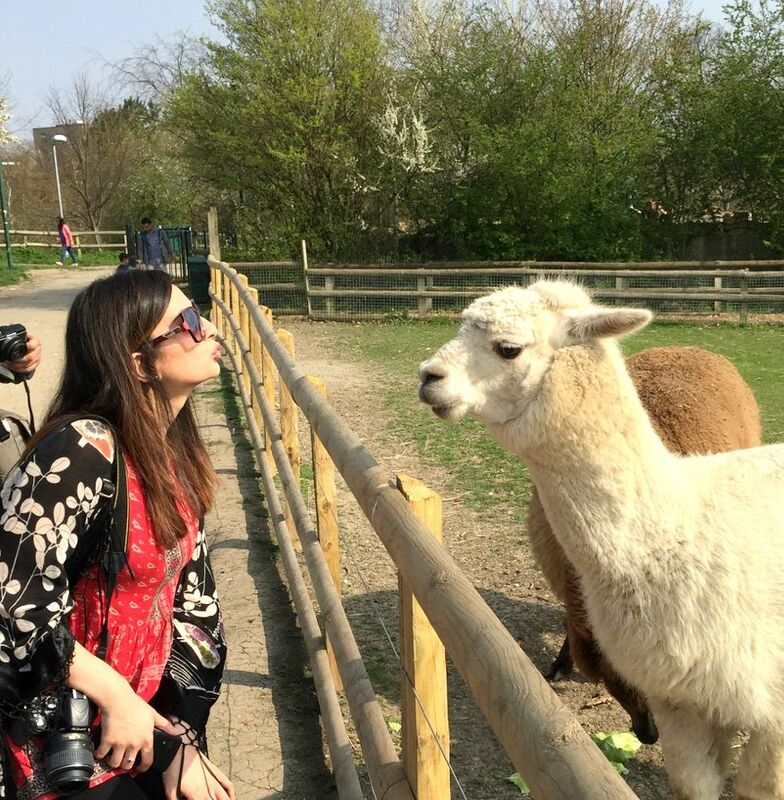 After looking into the city farms that are in London, I decided to visit Mudchute Park and Farm. 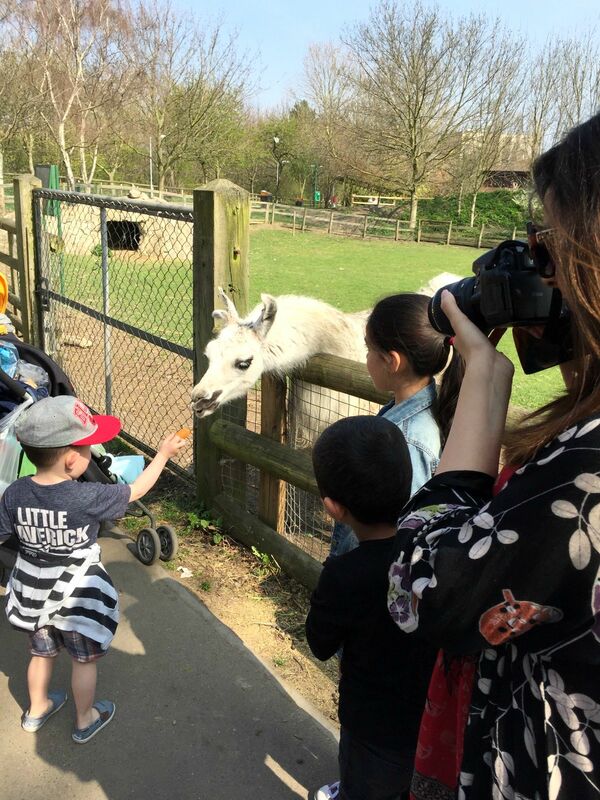 The park and farm is a lovely nature reserve in the middle of the Isle of Dogs, away from the hustle and bustle. I was really glad that the farm was quite quiet and we were able to get round to see all the animals at our own pace. The animals are placed at a reasonable distance from each other so there’s no crowding and it doesn’t seem as cruel as a zoo. I did some research beforehand and boy was I glad I did because there really is no parking at the farm so be warned. The easiest way to get there is the DLR, it’s literally a 10 minute walk from the staion. if however you must insist on taking your car, I would advise that you park in Asda. This will also mean that you can pop in and grab some veggies for the animals to munch on. The only downside is that there is a time limit for your parking. To save you an extra 10 minutes of your time walking all the way round, don’t forget there is an entry into the farm through the back of the car park too..
There’s a great range range of farm animals and most of the them are fine to be petted and fed. Some of the animals like a few pigs have warning signs about keeping a safe distance as they bite so if you’re going with small children make sure you look out for these. If it was a little warmer, the park would be great for a run around or a relaxing picnic but alas Autumn is in full swing so instead we stopped for a quick coffee at the park’s cafe which was actually really lovely. It was right next to the smaller animals like the guinea pigs and rabbits which doesn’t have signs so keep an eye out for them because they’re super cute! I wish I had more pictures to show off but unfortunately my SD card broke. The woes of being a blogger, eh? Luckily my sister saved the day with a few she took on her phone! 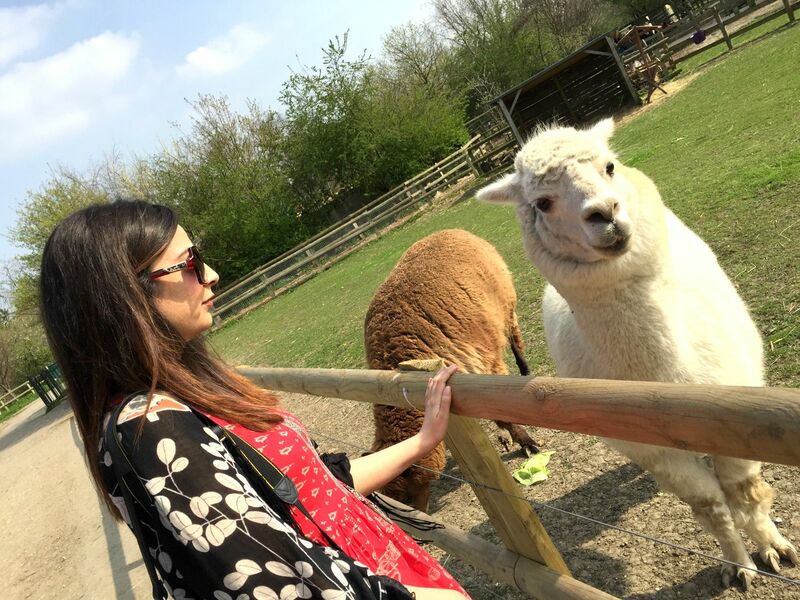 If you’re looking for a day out to do something a little different, I’d definitely recommend Mudchute Park & Farm. For someone who isn’t too fond of animals, I had a great time and would definitely go again when it’s a little warmer. What’s your favourite farm animal?